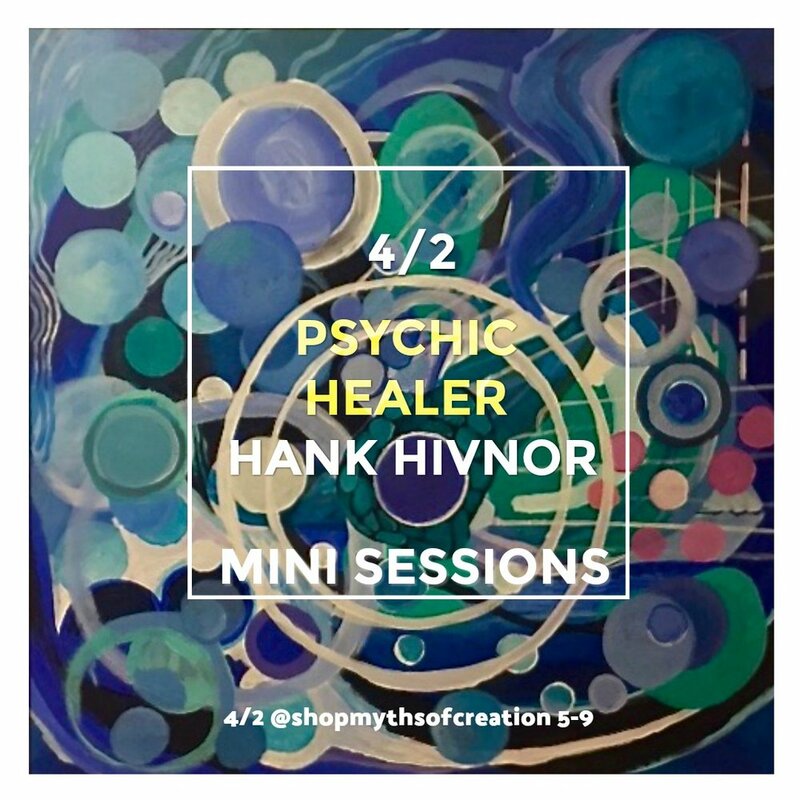 What is unique about Hank's sessions is that he is able to connect with his own guides or to energies that want to work with you specifically. In my work with him, we have uncovered blocks and received message that helped me understand a dimension about myself or my life that I was overlooking. We have also done healing exercises, cleared spaces, and connected with specific ancestors and friends who have passed on. To read more about Hank you can visit this page. To read more about my experiences with Hank you can read my blog. Readings will be $25 for 15 minutes from 5-9. You can schedule by emailing us.